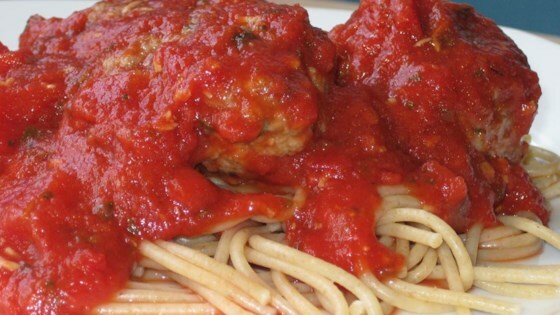 "Tasty seasoned meatballs simmered in a flavorful red sauce. For a creamier sauce, substitute milk for the water." Heat oil in large skillet over medium heat; add meatballs and cook gently so they stay whole and are lightly browned. Personally I thought this lacked flavor and the meatballs were mushy. The sauce was not thick and I will never make this again! I only made the meatballs, using one large onion, and my family and I thought they were great. I also used about 2tsp dried garlic instead of fresh galic cloves.